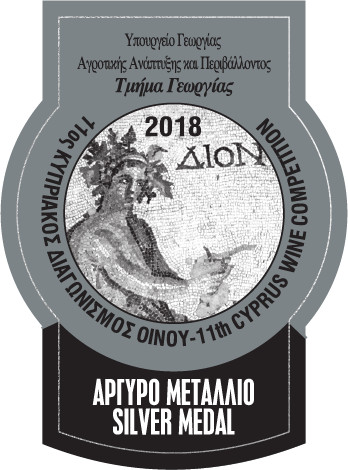 “White Dry 2017” is a secret blend, relies on the variety Xynisteri. It has a bright and pure yellow-gold colour with distinctive shades of green and a most pleasant scent which presents a complex bouquet characterised by aromas and flavours of white flowers, lemon peels and the sweet essence of exotic fruits. It has a most pleasing balanced taste with a velvety texture and offers a sweet sensation which lingers on even after the wine escapes the palate. It combines very well with fresh seafood or fish, but is equally as appealing without any food accompaniment. Ιt is recommended that it be served at temperatures between 8-10ºC, within two years.